Google Assistant already makes our lives so much easier by handling reminders, remembering flight information and calendar events, managing the lights in our homes, and recommending restaurants for us. Thanks to Duplex, it can even call the latter to make reservations on your behalf while you watch cat videos on YouTube. Unfortunately, the feature has been exclusive to Pixel devices since it came out in November and was limited to a couple of cities in the US. At the beginning of March, we reported Duplex would be available on non-Pixel phones in 43 American states within the following weeks. As expected, it is now expanding to a larger audience across the US. You can now use your Google Assistant on your Android phone in most of America to make reservations at pretty much any restaurant, even if it doesn't support online booking services like OpenTable. To do so, Duplex will call the venue on your behalf and notify you when it's done, just like Pixel devices would. To try it out, just ask your Assistant to make a reservation at your favorite restaurant, and it'll go ahead and call it for you. Of course, if your initial query is incomplete, it will prompt you for further details such as the number of people or when to book. Our tipster has successfully tried this on a Galaxy S10, OnePlus 6T, and OnePlus 5, but the feature is still not available on Google Home speakers. Also, unlike what was shown at Google I/O 2018, Duplex is only able to make restaurant bookings for now and doesn't understand other requests like as hair salon appointments. 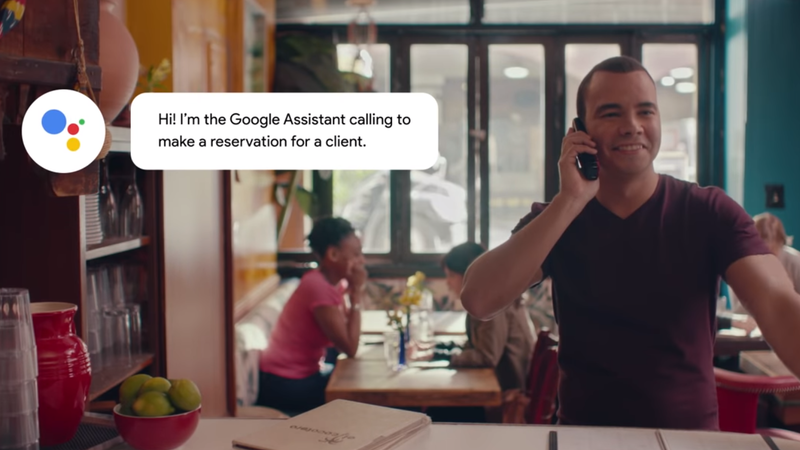 I'm glad Google is finally bringing this to the masses, but I'm curious to see how businesses will react when they receive automated calls from an AI. In the end, it brings them clients and saves people the trouble of wasting time on the phone, so they should eventually embrace Duplex.